Should Your Mechanic Provide A Free Courtesy Car? 29 Nov Should Your Mechanic Provide A Free Courtesy Car? When you take your car in for servicing or repairs, does your mechanic provide a free courtesy car? Sadly, many motorists will answer that question ‘no’. Despite the fact that they are loyal, regular customers, who pay on time and recommend the mechanic to others, that doesn’t guarantee a courtesy car service. And we think that’s wrong. As drivers ourselves, we just expect some things to be a given. For example, when we go the hairdresser, we expect a cup of coffee and magazines, right? We expect to be provided with a shopping trolley at the supermarket. When we entrust one of the most expensive purchases to a mechanic, we expect a free courtesy car. You’d probably even settle for a car pick up service on the Sunshine Coast! You just don’t want to be left standing at the bus stop. At SVS Autocare, there are certain things that we consider just part of the service. That includes a friendly, helpful voice on the phone when you call to book, a comfortable air-conditioned customer lounge should you choose to wait, and a free courtesy car or pick up. That’s a given. We also believe that you deserve a guarantee on the work we do, and we wouldn’t dream of using anything but genuine quality parts and products on your car. 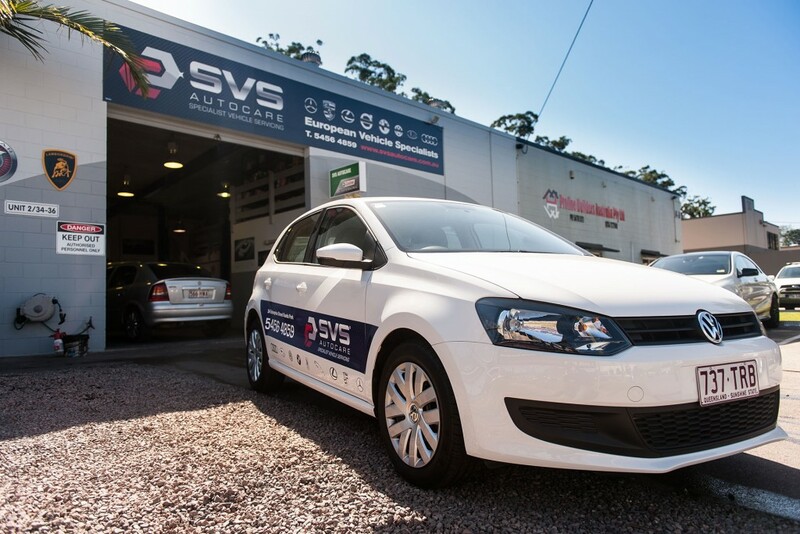 It’s part of the service here; you could call it the SVS Autocare difference. The fact is, we appreciate the fact that you have chosen us to care for your vehicle. We know you have chosen us because we are master technicians, and specialists in European vehicles. But we also know you’ve chosen us because we’ll always go that extra mile to ensure you are well looked after. We know that after dropping your vehicle to us you have important things to do; supplying you with a free courtesy car is just our way of saying thank you.